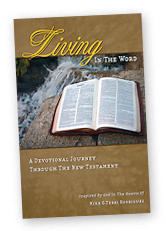 Living in the Word is a 365 day devotional journey through the New Testament. A journey you won't want to miss. Traveling through the New Testament you will experience transformation as Godss powerful Word comes alive, and as we are introduced to His Son Jesus Christ, and the power that we can have through His Holy Spirit. Living in the Word, is that place where we are encouraged, edified, and exhorted in our daily journey with God, as He speaks to our hearts through His Written Word. 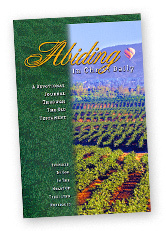 Abiding In Christ Daily is a 365 day devotional journey through the Old Testament This is a journey you won't want to miss. God from the beginning declares that He is God. The Old Testament reflects His love for mankind and His desire to extend mercy to those who would believe in Him and Abide in Him. Abiding in Christ Daily is those places where we are no longer are just believers, but we are receivers of the abundant life God desires to have with us daily. These attractively presented devotionals by Mike and Terri Rodriguez bring out nuggets of truth for daily consumption and meditation.Their comments strike a chord in the heart of the reader day after day, not surprisingly coming from two people known to me personally whose humble hearts of love and commitment have been a source of inspiration over a number of years. The personal applications are clear and effective and a wonderful tool for drawing us closer to our amazing God. Calvary Chapel Cardiff Wales, UK.